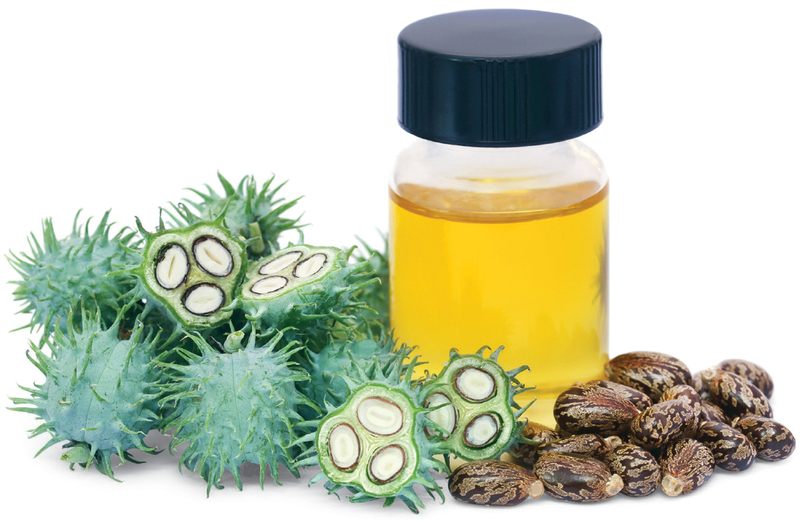 BIO-OIL TECHNOLOGY Our proprietary plant-based bio-oil comes from castor beans—a non-food source that doesn’t compete with food crops and uses very little water to grow. The rapidly renewable plant has been naturalized in warm climates all over the world, and can grow ten feet in a single season. Our commitment to eco-friendly products started with our first premium insole in 1997, which was engineered with game-changing technology that repurposed rubber waste. We have used the technology in billions of insoles ever since. An integral part of every formulation includes 5% recycled shoe rubber. 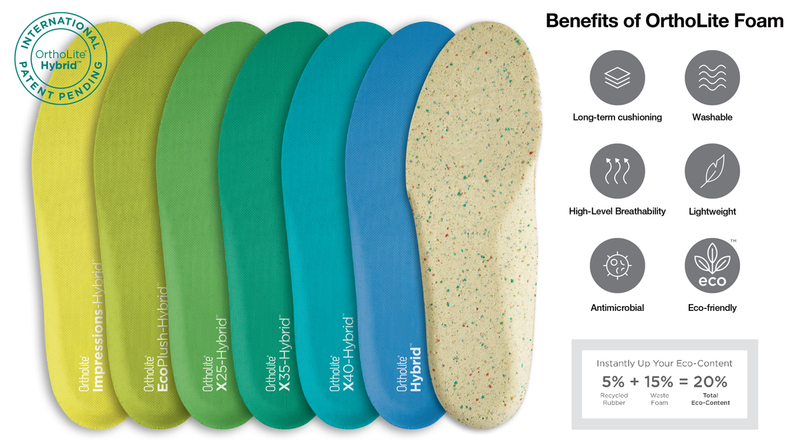 As a result, OrthoLite foams use more than 300 metric tons of recycled rubber each year, thus helping to reduce our carbon footprint and provide a signature speckled look to our insoles. To better serve our 300 global footwear customers and beyond, we have expanded our eco-content offerings with two proprietary technologies: our plant-based bio-oil made from castor beans (a non-food crop grown with little water) that dramatically reduces the use of petroleum and patent pending OrthoLite Hybrid, which uniquely blends 5% recycled rubber and 15% production waste foam to equal 20% eco-content. In our most recent push to close the loop, OrthoLite is also offering a new 100% recycled formulation. 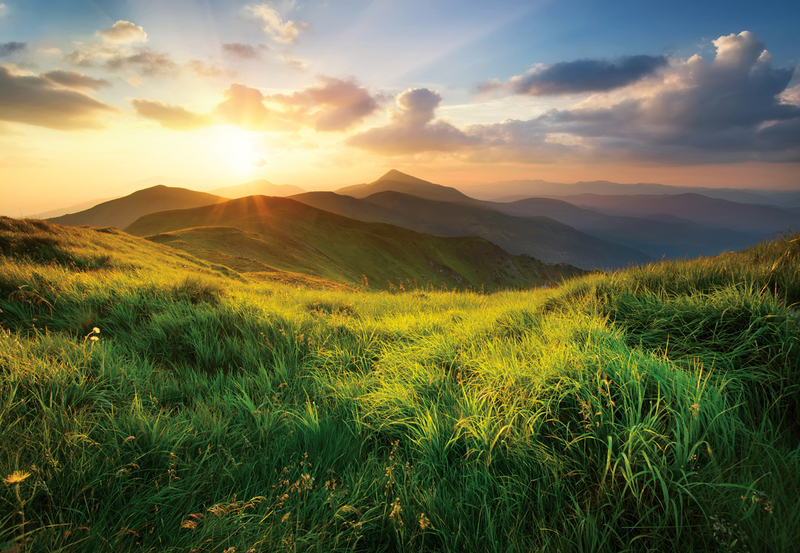 “With so many brands holding themselves responsible for elevating their own eco standards, we’ve developed products to meet the ever-increasing demand for more eco-friendly products,” said Dan Legor, Director of Marketing for OrthoLite. Here are some of our eco products, any of which can be given an instant “eco-boost” in eco content with the addition of our Hybrid formulation. OrthoLite® Eco: A bio-based formulation replaces 12% of petroleum with a castor bean-based bio-oil, thus reducing the shoe’s carbon footprint. OrthoLite® Impressions: This slow recovery foam is made with 50% bio-oil content and offers a unique fit by forming to the shape of the foot over time. Impressions is best used as a top layer on a firmer foam such as EcoOrthoLite or EcoPlush to deliver a custom layer of support for ultimate cushioning, or as a liner foam. To reduce our impact on the environment, we process and reuse wastewater from our manufacturing facilities. Our factories use clean solar energy to heat water for manufacturing and to warm our facilities—reducing our dependence on fossil fuels. Air purification systems in our factories filter out airborne particles and circulate purified air for employees. Since ordinary polybags take hundreds of years to decompose, causing pollution and trapping marine life, we use bags made with calcium carbonate sourced from natural limestone for our products. The bags are waterproof, tear resistant, pest resistant— and biodegrade naturally in 10-12 months. Our products are transported to footwear factories in 100% recyclable, reusable blue boxes.